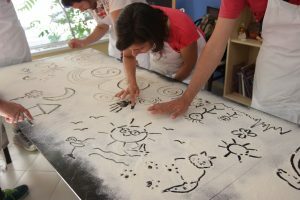 We took part in the Days of Good Deeds! 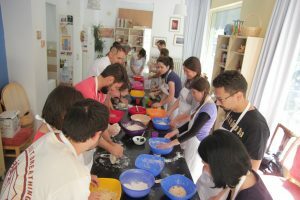 On the sunny Saturday of May 26, the Bread Houses Network joined Tulip Foundation’s initiative Days of Good Deeds organized in the last week of May and aiming at demonstrating the importance of volunteering, as well as the role and the power of volunteers. 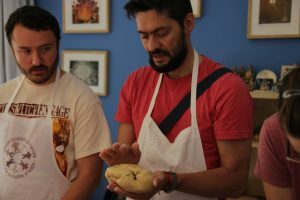 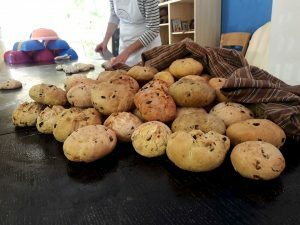 We took part with the Solidary Bread event, which is organized in the Sofia Bread House every month since September 2018. 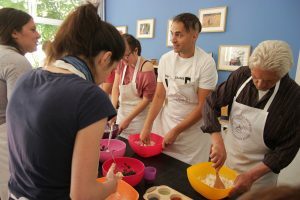 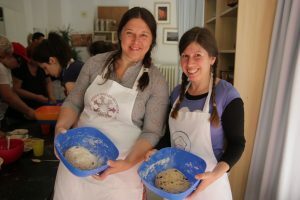 The initiative is carried out in partnership with the self-organized activists movement Food, Not War – Sofia, which organizes Solidarity Kitchen for disadvantaged people every Sunday. 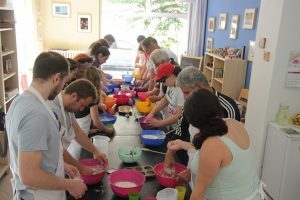 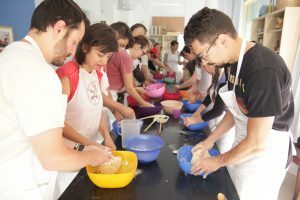 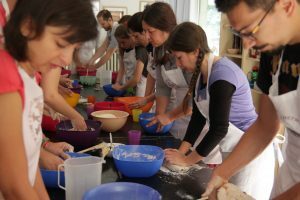 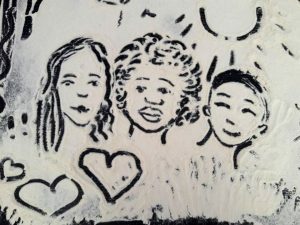 The Solidary Bread events involve a large number of volunteers – together they prepare bread which on the next day becomes part of the Solidarity Kitchen’s free lunch distributed at the Solidarity Club on 51 Georg Washington St. 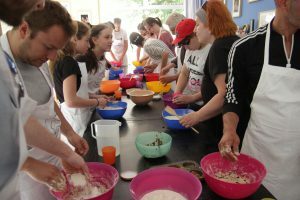 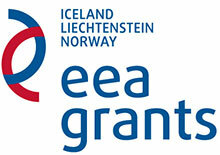 The event involves both activists and people from disadvantaged groups. 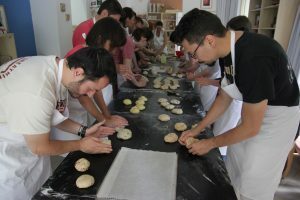 Every bread making is devoted to different topics related to the cause of solidarity towards disadvantaged people – issues such as poverty, peace, active citizenship and others are discussed. 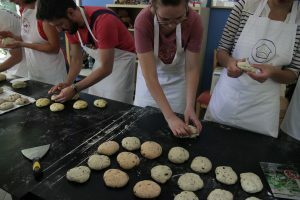 Thus, besides taking part in bread making, the volunteers have the opportunity to express their opinions and to unite around new ideas for cooperation. 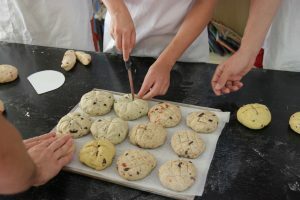 On May 26, within the Days of Good Deeds, the bread making was called “Colorful and Solidary Bread” and three types of bread were made: with olives, greens (nettles, rumex and spinach) and dried tomatoes. 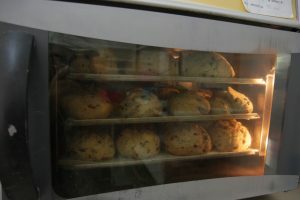 The products were provided thanks to the support of the Tulip Foundation. 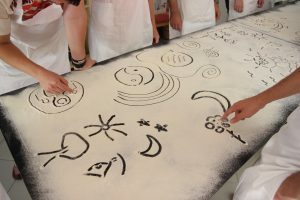 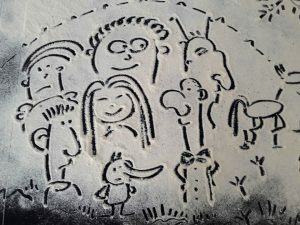 The volunteers got creative both in combining the different ingredients and by drawing in flour. 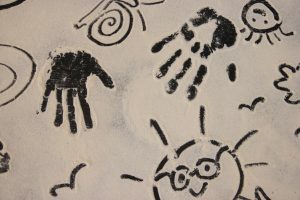 The theme was dedicated to the “colorfulness” of our society and to the question of how we manage in accepting and appreciating it. 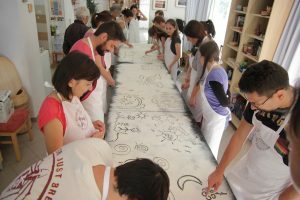 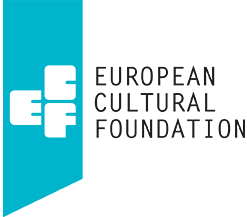 We would like to thank to the Tulip Foundation for the possibility to take part in the initiative and for their support, as well as to all volunteers who took part and shared their time and creativity!